Change the ServerName directive to the server name of the SP. Restart the httpd service using the command service httpd restart. 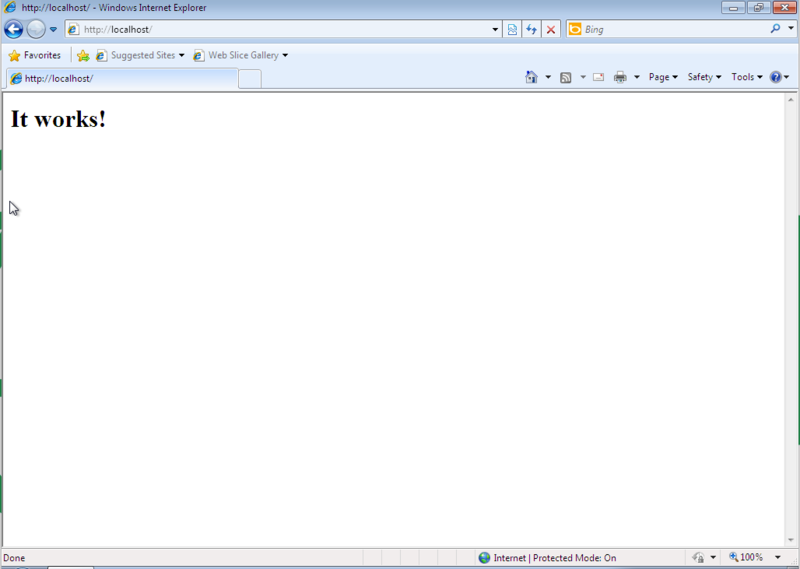 Create an index.html file inside the directory /var/www/html. Check from your browser if the file index.html is visible. 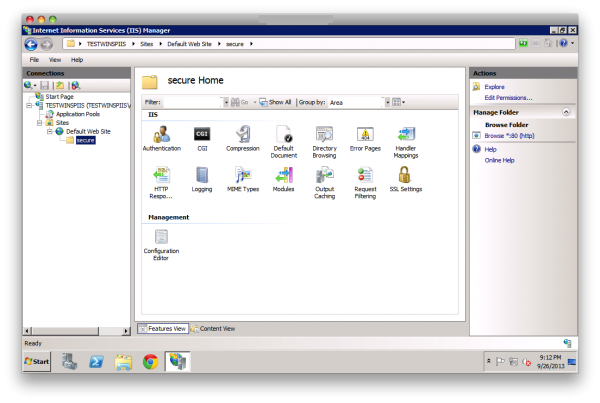 Create both a private key, and a certificate, and place those in the file /etc/shibboleth. 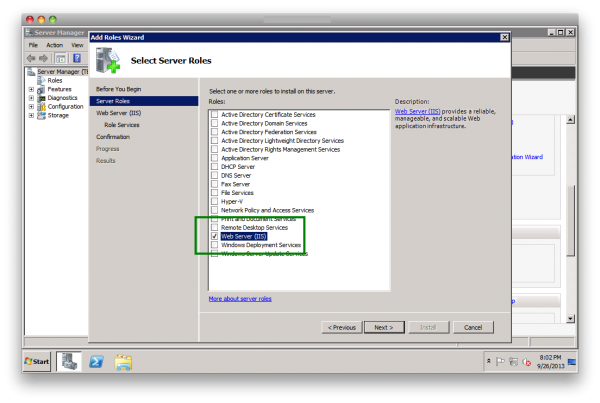 Change the permissions of these files so that the web server can read the files. 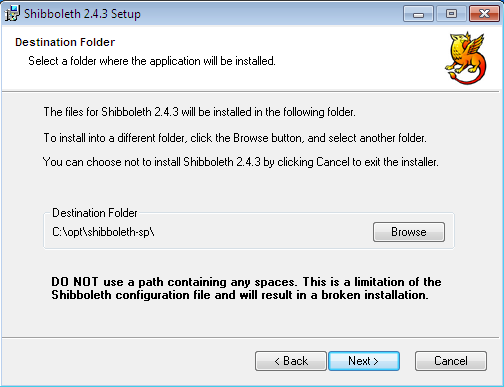 This section describes how to configure the file shibboleth2.xml. Create a directory named under /var/www/secure. Change the permissions for that directory secure to apache:apache (owner and group of the web server). Set the EntityID of the SP: ApplicationDefaults entityID="http://hostname/secure"
Provide the EntityID of the IDP: SSO entityID="https://idp.gluu.org/idp/shibboleth"
Set both the Metadata Provider, and the IDP: MetadataProvider type="XML" uri="https://idp.gluu.org/idp/shibboleth"
Create a Trust Relationship for this SP in your desired IdP. 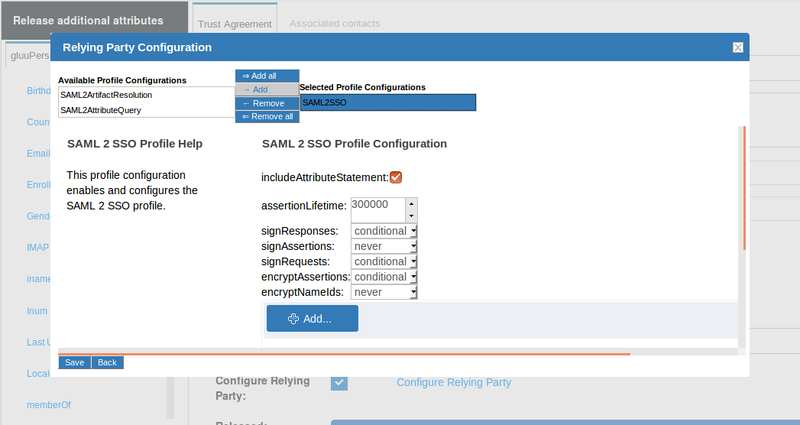 Need to protect a test Apache folder using SAML on an Ubuntu server? Hate to read? This article is for you. Replace both sp and sp.gluu.info with your desired website hostname (SP hostname). 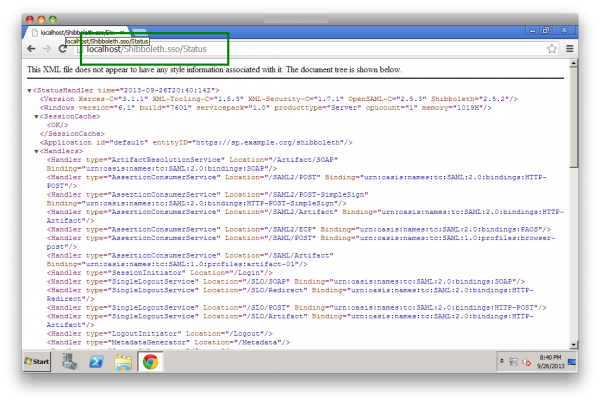 Download SP-metadata.xml to your machine. 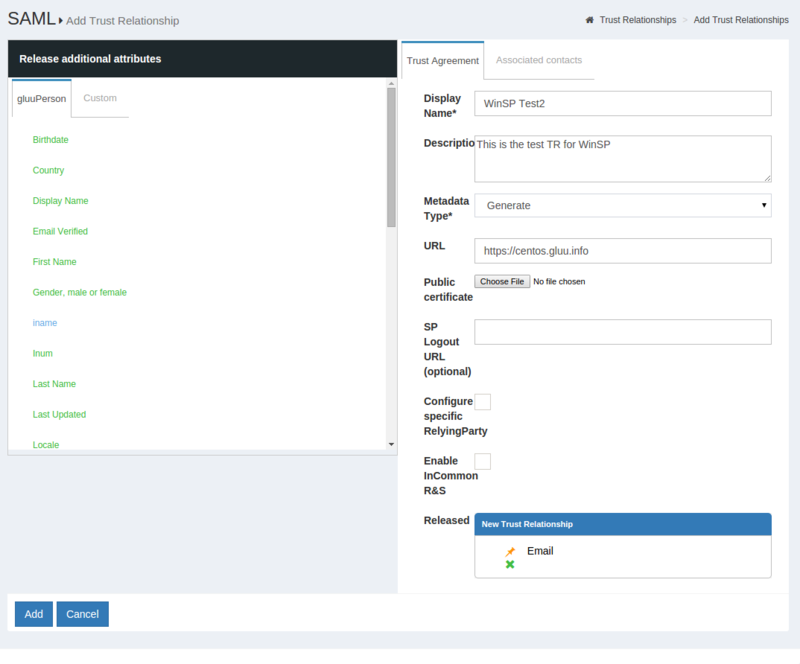 You will need this file later when you create the Trust Relationship in the Gluu Server. Use this for shibboleth2.xml and replace sp.gluu.info with the hostname of your SP, and idp.gluu.info with the hostname of your IDP. <SessionInitiator type="Chaining" Location="/Login" isDefault="true" id="Login"
Then "Save" and "Update." 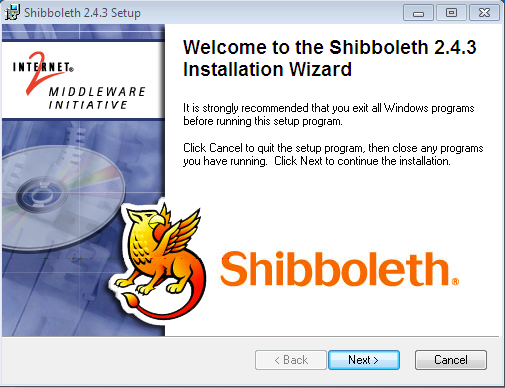 Wait 5 minutes for the Shibboleth IDP to detect reload the metadata or stop and start Jetty. Make sure you update your hosts file on the Gluu Server, Apache server, and your workstation--this won't work with IP addresses, only. Check the Shibboleth log file /opt/idp/logs/idp-process.log if you don't see the headers or REMOTE_USER environment variables. 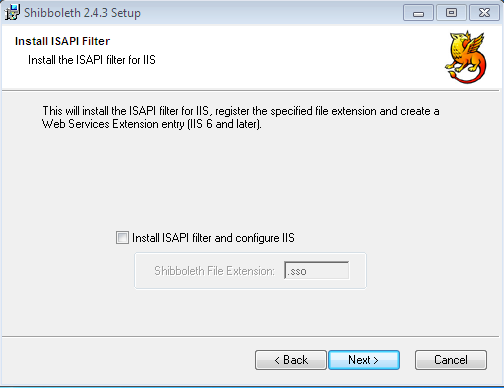 Also, restart the Jetty service by service identity restart to make sure the new Shibboleth IDP xml files were loaded. Clear the cookies in your web browser for both the Apache site, and the Gluu Server if you are logging in and logging out a lot with lots of server restarts. Select (i) World Wide Web Services (ii) CGI (iii) ISAPI Filters (iv) ISAPI Extensions --> Press OK.
Test IIS to see if it is installed in your system with "127.0.0.1" in the web browser. 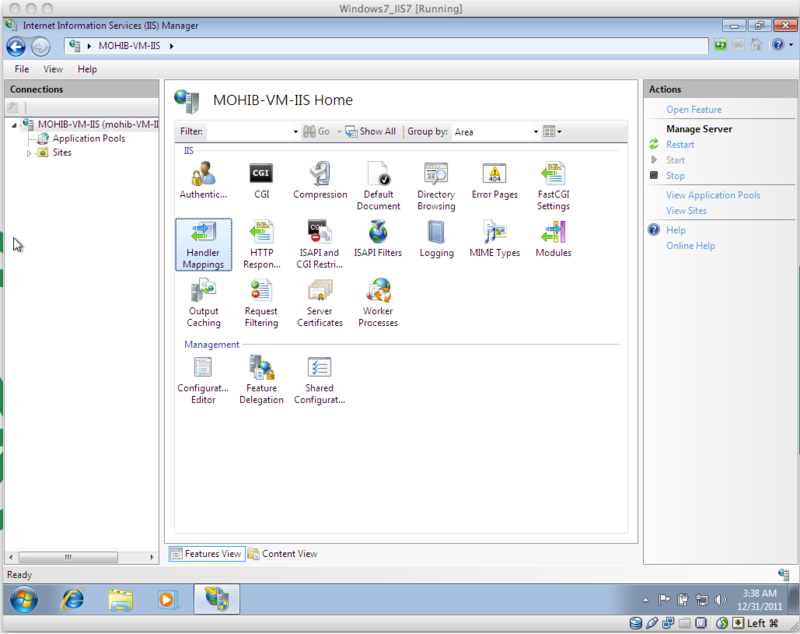 For our test case, we used IIS7. 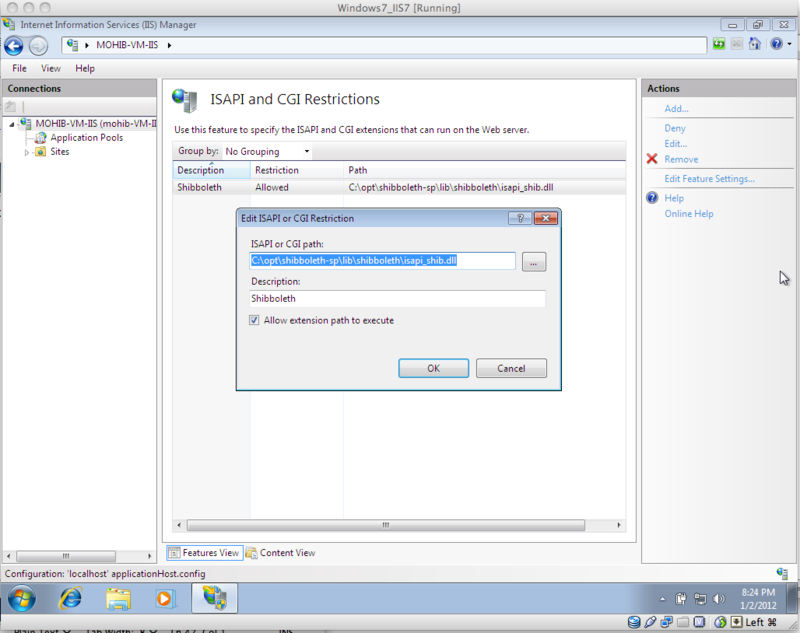 Double click on "ISAPI and CGI Restrictions"
Executable should be pointed to "isapi_shib.dll"
Check Status by typing in "http://127.0.0.1/Shibboleth.sso/Status" in the web browser. 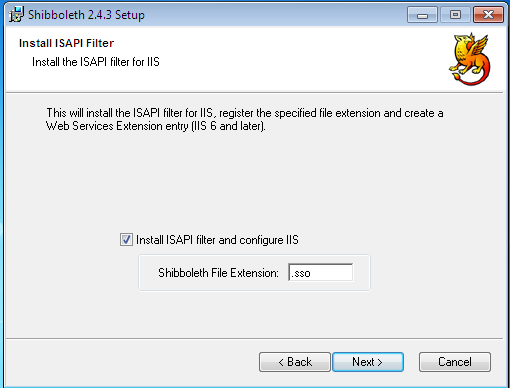 If it displays an XML document, then the Shibboleth SP Installation in Windows IIS7 in complete. Open up "Server Manager", scroll down and click on "Add Roles". 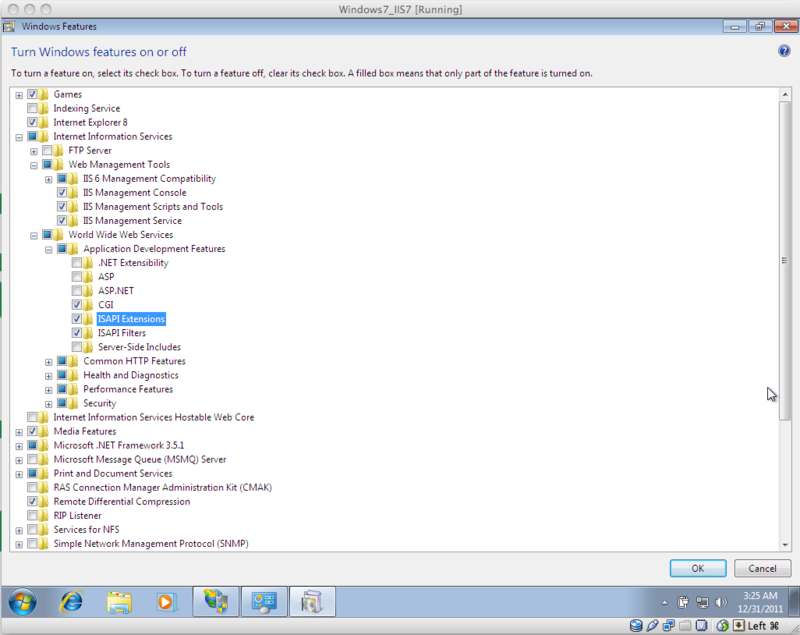 Select "Web Server (IIS)", hit "Next"
Hit "Next", for the confirmation, check the list of plugins. 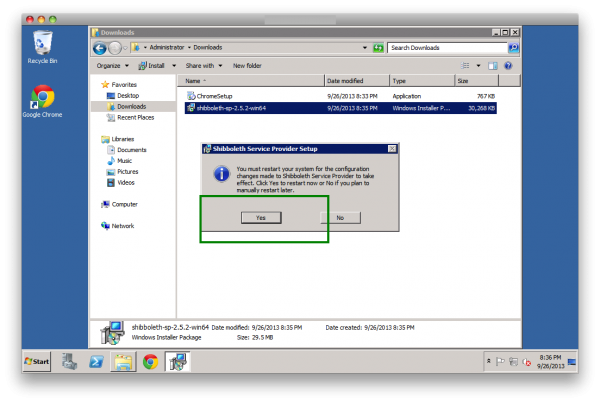 Hit "Install" and Windows 2008 will complete the installation. A confirmation window shall appear which resembles the screenshot below. 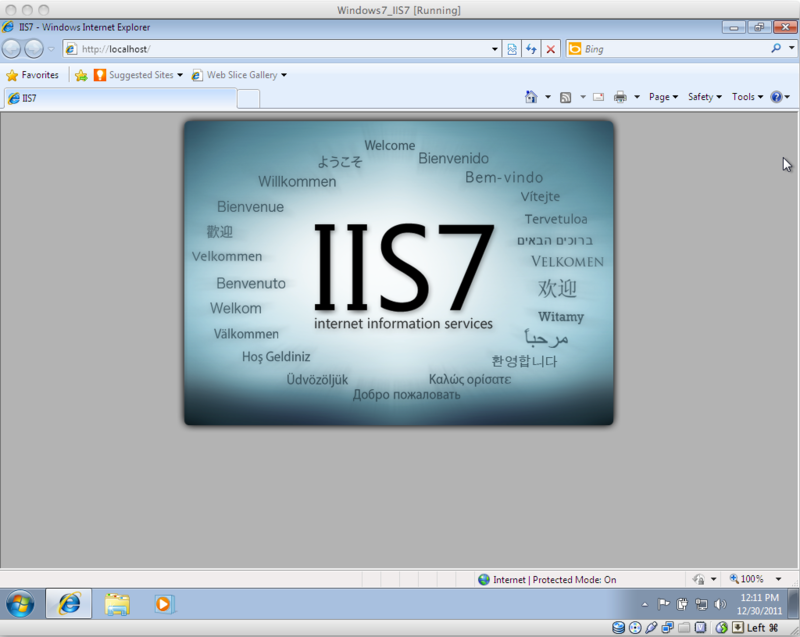 7.Test IIS7 setup from the Internet. Start the installation, keep the default path, Select "Install ISAPI modules into IIS", IIS Script Extension must be ".sso" and Hit "Next". 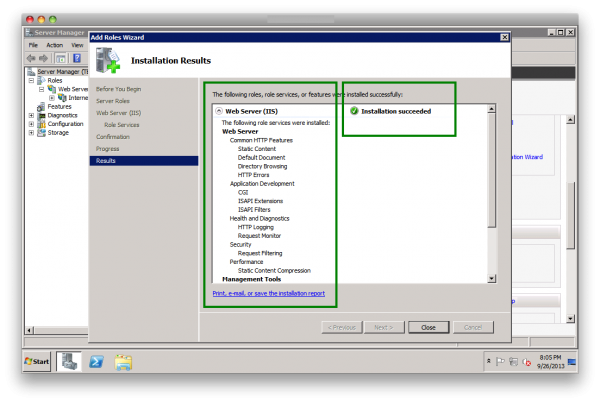 After the completion of the installation, the system will ask to reboot the system; hit "Yes". Test the Shibboleth SP installation from the SP VM using the URL "localhost/Shibboleth.sso/Status" in the address bar of the Web Browser. 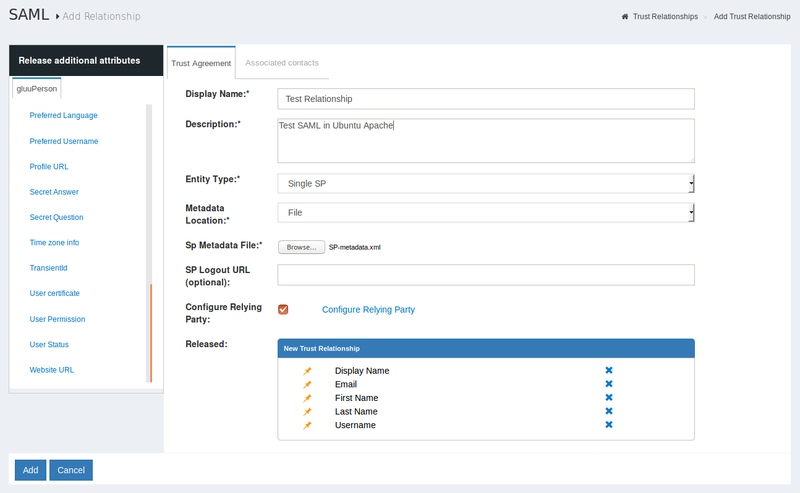 Create a Trust Relationship for the new SP in the IdP. It is necessary to upload the Public Certificate of the new SP in the IdP. Please note that the CN of the public certificate MUST BE the same as Hostname of the SP. Hit "Add". 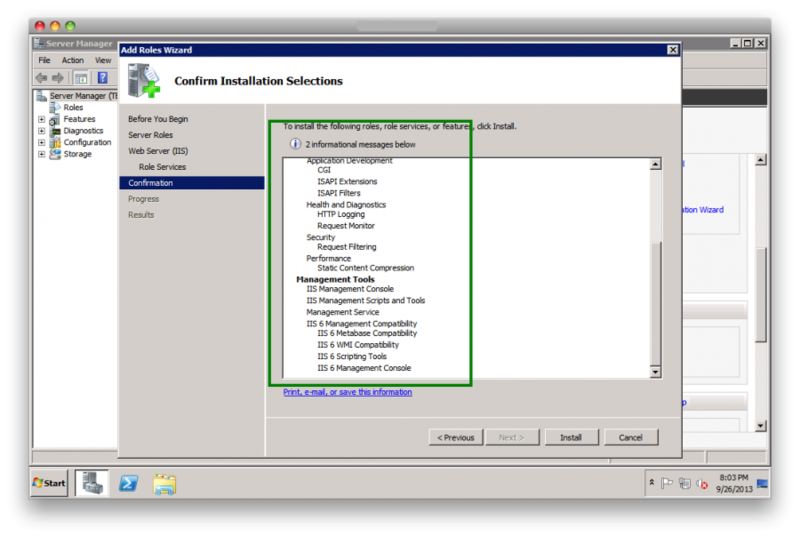 Download the IdP generated configuration files for Shib SP modification. 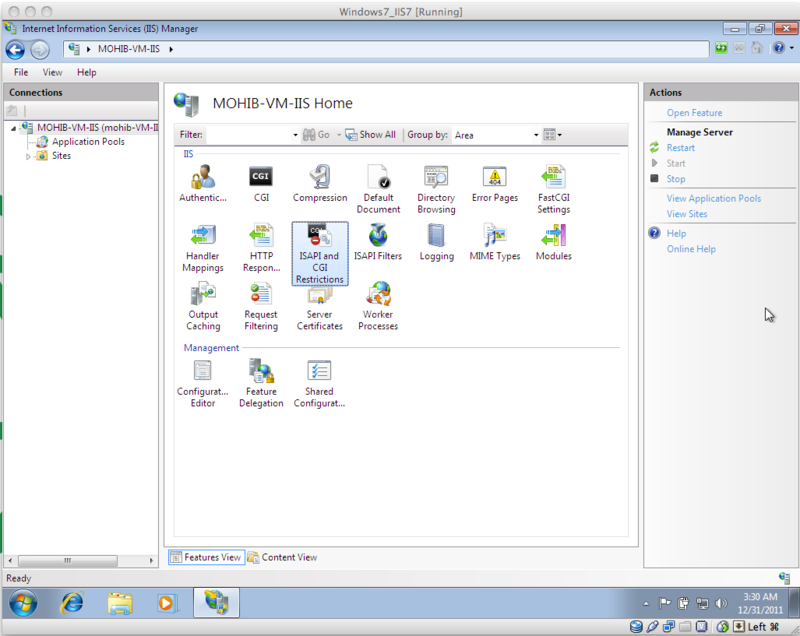 The files from the IdP must be placed in the SP Configuration. The "spcert.crt" file has the CN same as the SP hostname. The "spcert.crt" and "spkey.key" has the same md5sum value. 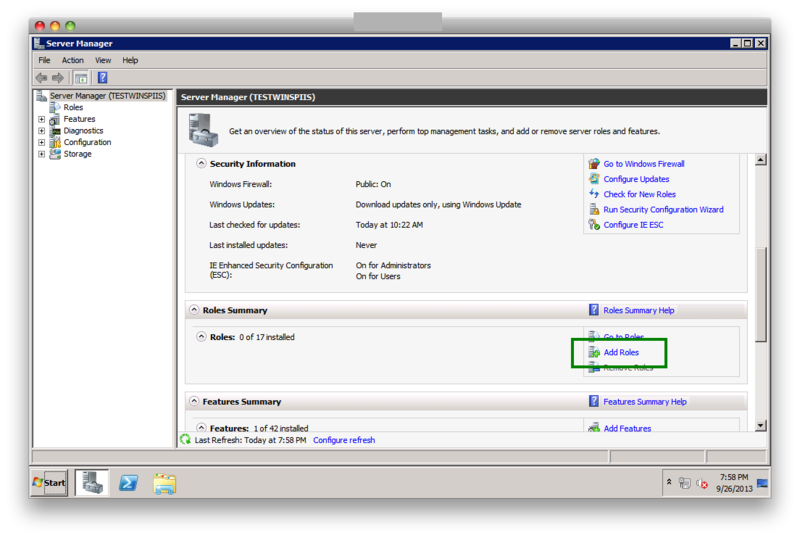 The IdP-metadata is perfectly placed inside the SP Configuration. 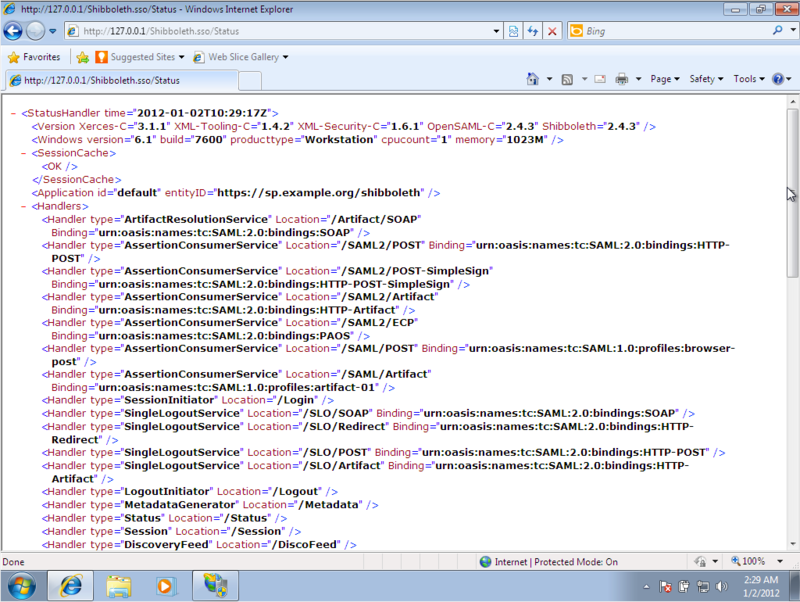 The downloaded "shibboleth2.xml" file has values resembling the file content below. For testing purpose, we are going to protect a directory named "secure" with the IdP. 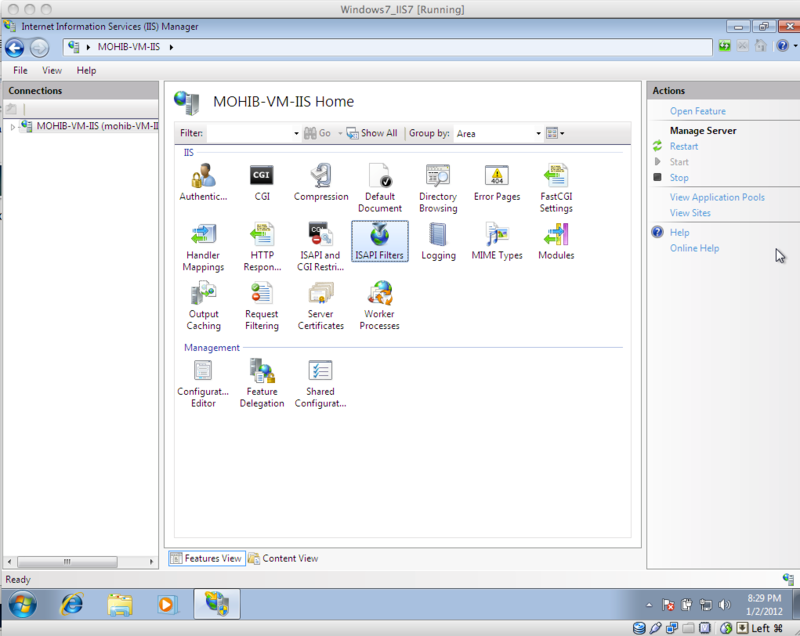 Create a folder/directory in the IIS Root Directory and restart Shibd and IIS. Place the following URL in the web browser: "https://SP_Name/secure"
It will redirect the user to the IdP for authentication. 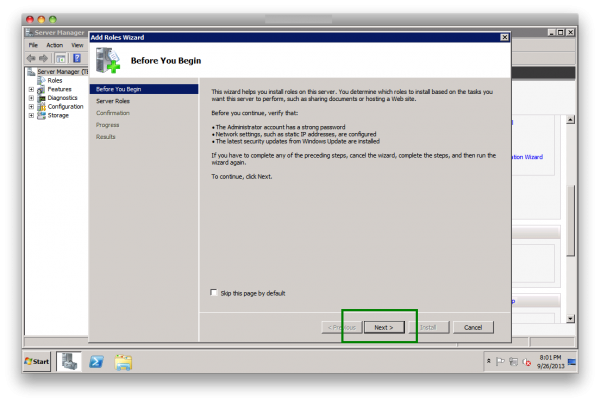 After the authentication is complete, the user will be shown the protected page. 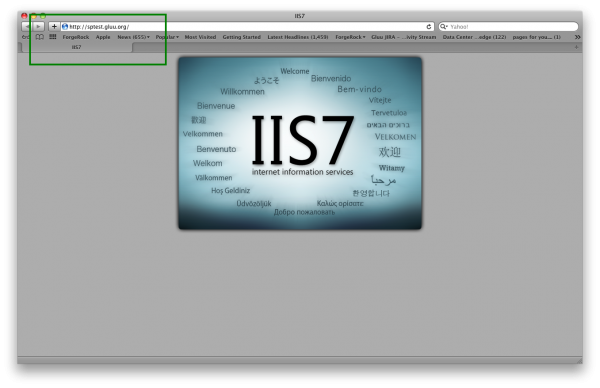 For this case, the page is the IIS7 index page. The value can be a relative path, a URL with no hostname (https:///path) or a full URL. The system can compute a relative value based on the virtual host. Using handlerSSL="true"
will force the protocol to be https. 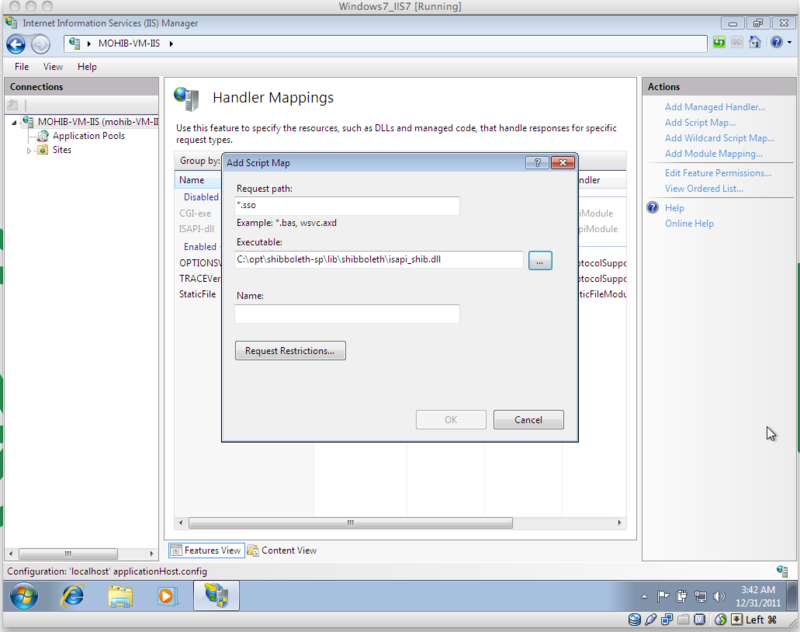 You should also add a cookieProps setting of "; path=/; secure"
impact on the security of the SP. Stealing cookies/sessions is much easier with this disabled. element (or requireSessionWith can specify a specific id to use). 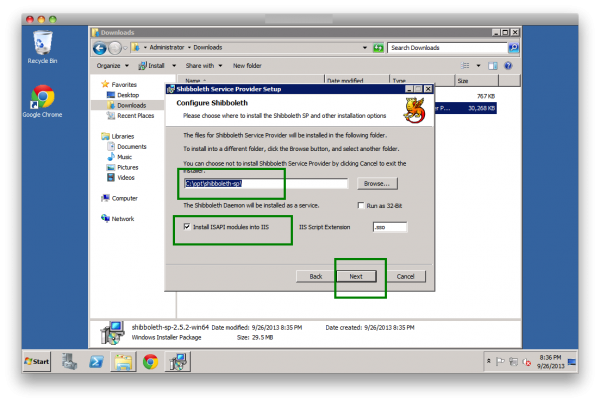 <SessionInitiator type="Chaining" Location="/Login" isDefault="true" id="gluu"
how to return the response. SAML 2.0 HTTP-Artifact binding on outgoing messages, generally uses SOAP. that can be plugged into the templates. condition processing, and permits signing and client TLS. 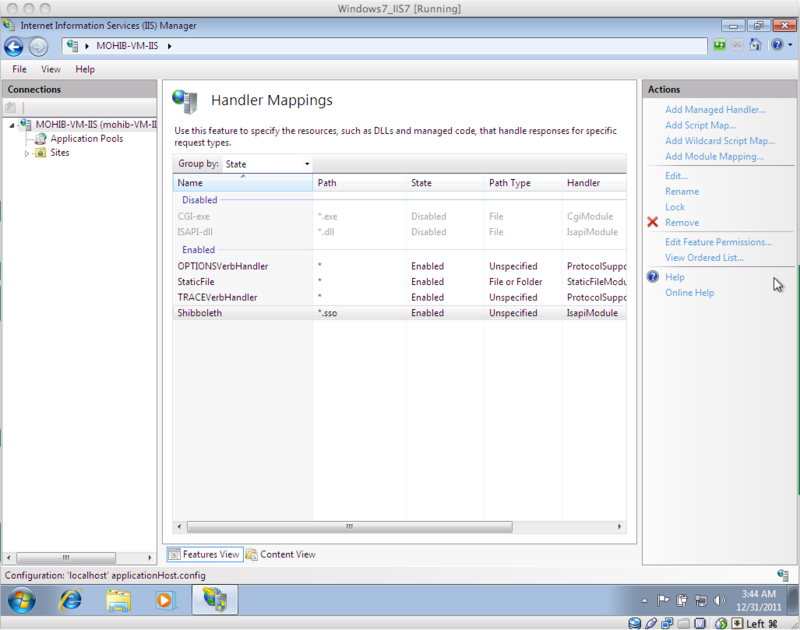 Define the destination folder (by default it is: C:\opt\shibboleth-sp). 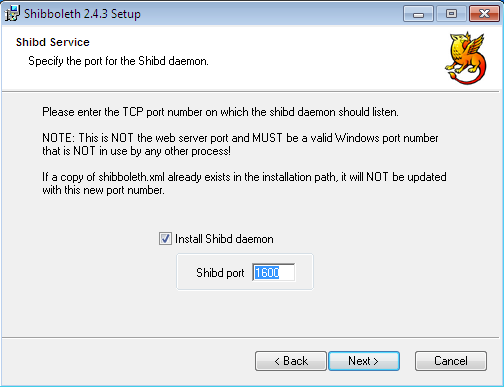 Select the Shibboleth Daemon port. By default it is 1600, and you may keep it for testing it, locally. Now, there are two options. According to your target you will have to choose one. a. 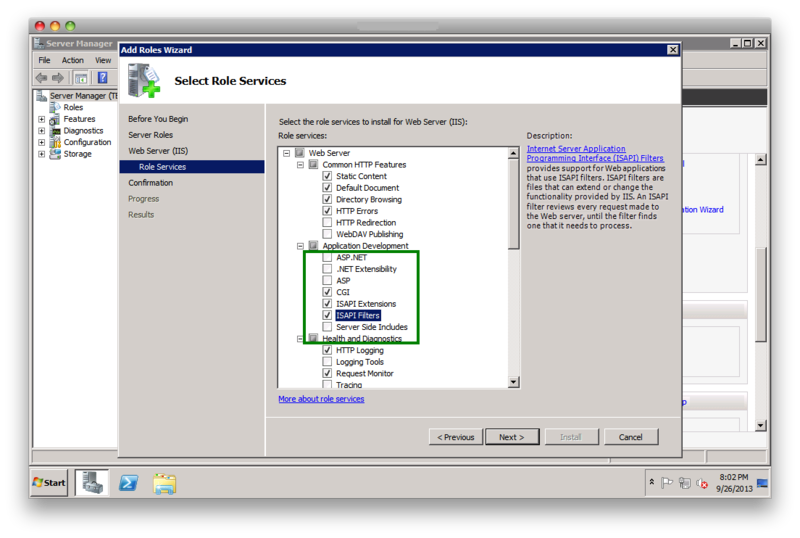 For the Microsoft IIS Web Server, CHECK “Install ISAPI filter and configure IIS”. Remember to put the file Extension ”.sso” -- this is necessary. b. 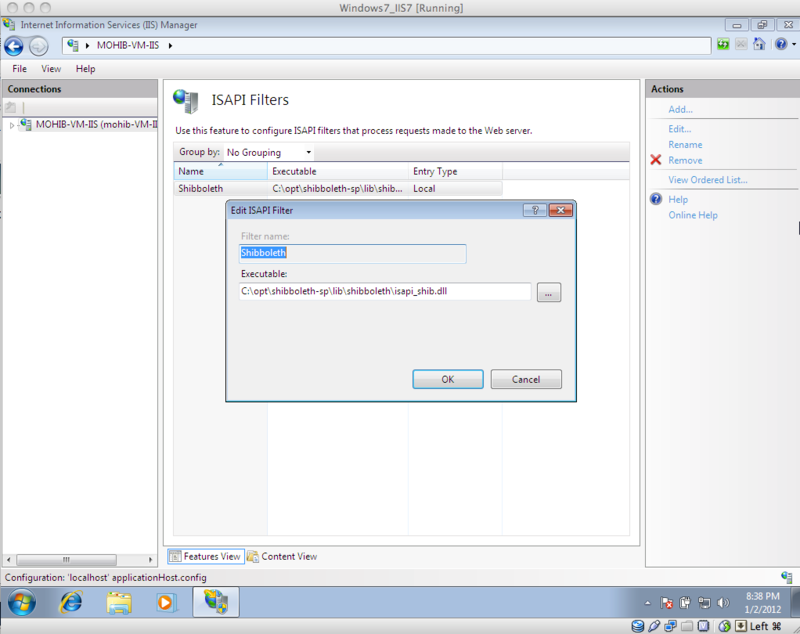 For the Apache Web Server, UNCHECK "Install ISAPI filter and configure IIS". 3. 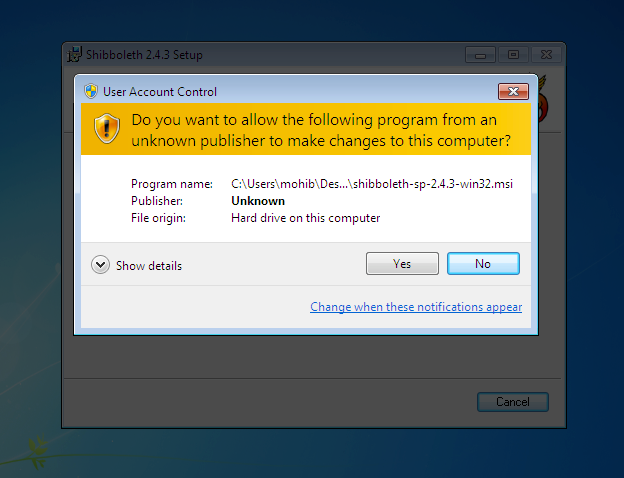 UAC of Windows 7 may block this program, so allow it. 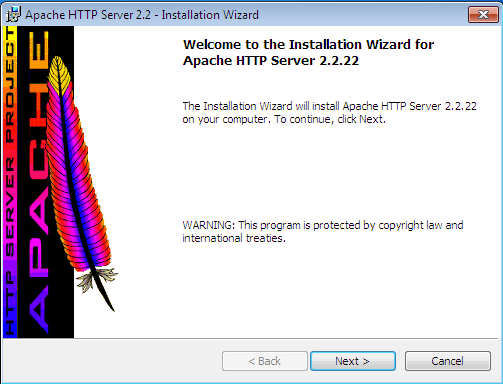 Download the Apache HTTP server MSI Installer with OpenSSL: http://httpd.apache.org/download.cgi#apache22 . Select the destination. You can keep the default destination for your local testing. But, make sure that there is no other “Apache Software Foundation” directory in your current “C:\Program Files\” location. Provide the Server Information. For local testing you can use localdomain/localhost. 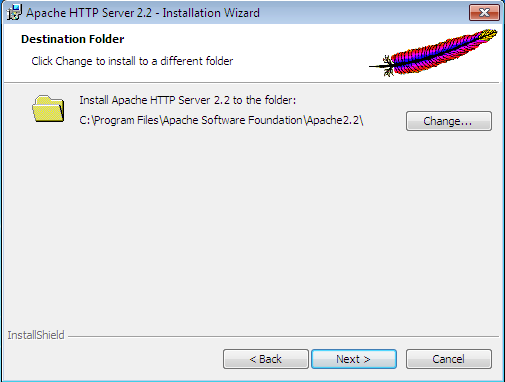 Test whether the Apache web server is installed or not. Open your web browser and use localhost. If you see something like the image shown below--you are done! 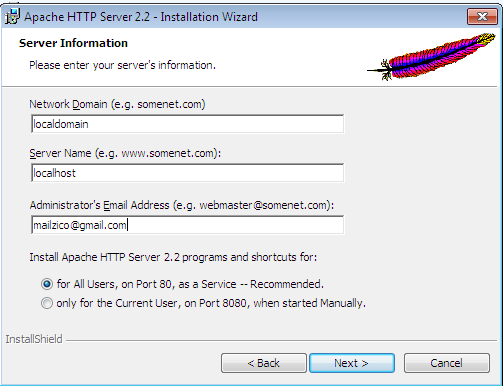 Change the permission of the Apache installation directory, and provide “write” access. If you can see some XML page like the one shown below--you are done with your SP installation in Windows through Apache2.